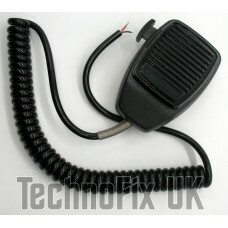 A high quality dynamic microphone supplied with heavy duty curly cord terminated in wire-ends, for you to fit your own connector. Standard round microphone hanger fitting on rear. PTT only, no other buttons. Impedance 500Ω. Sensitivity -72+-3dB. The cable has a nominal outside diameter of 5.8mm. A short length of 6mm internal / 7mm external diameter sleeving is included for use with the commonly used round metal connectors. 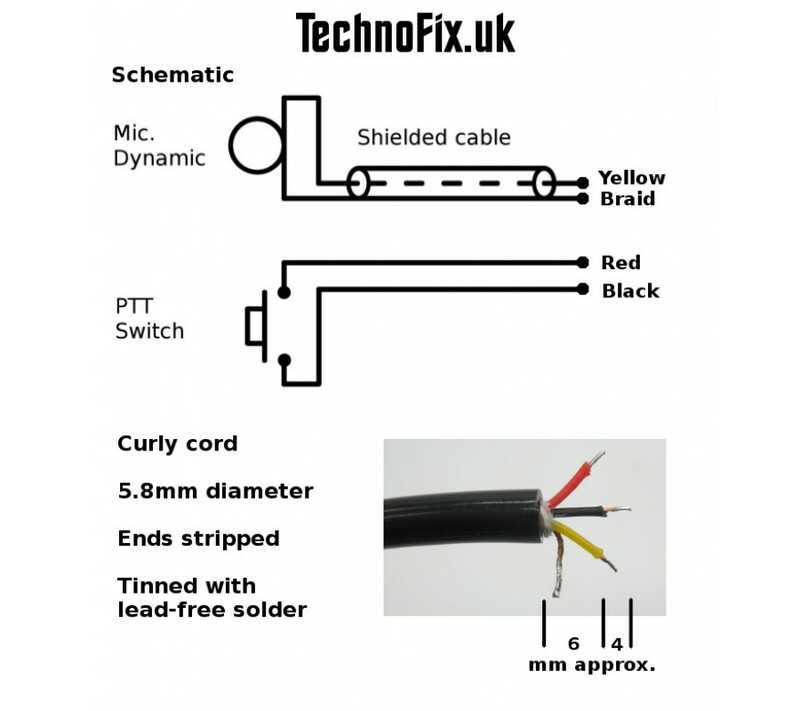 The microphone element is always connected, independent of the PTT switch. The PTT switch is wired seperately to the microphone element. This configuration suits most amateur and commercial transceivers. Please consult the schematic diagram for more information. Internally, the PTT switch is a 2 pole change-over type so can be re-wired for other configurations. This microphone is intended for experienced users with technical knowledge and good soldering skills. 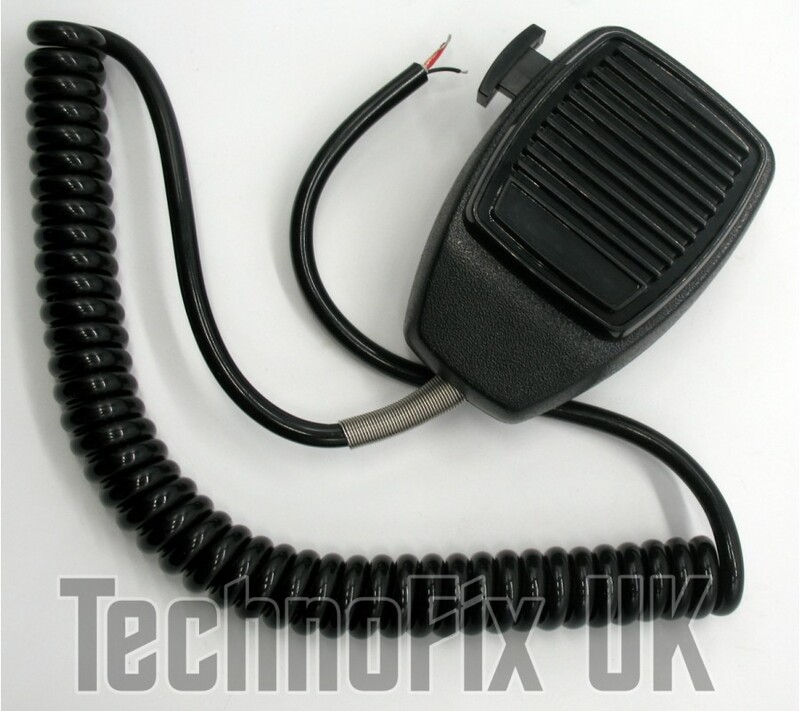 As such, we do not offer advice on wiring for individual radios - it is the purchasers responsibility to ensure the microphone is suitable and for wiring it correctly. The supplied cable will not fit modular style (RJ45) jacks. 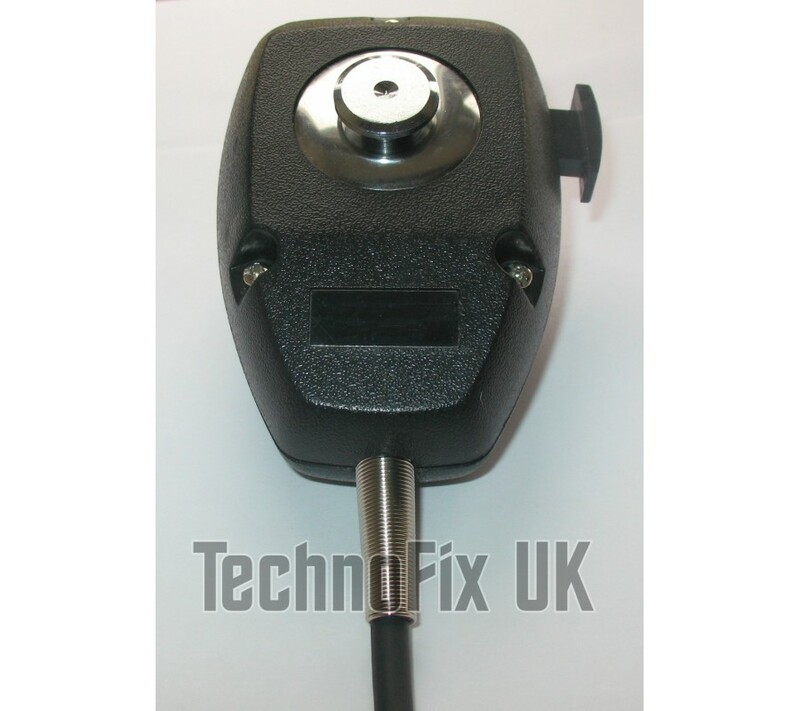 This microphone cannot be used for CB transceivers which require a 3 wire, change-over style PTT without internally re-wiring the cord, PTT switch and microphone element.